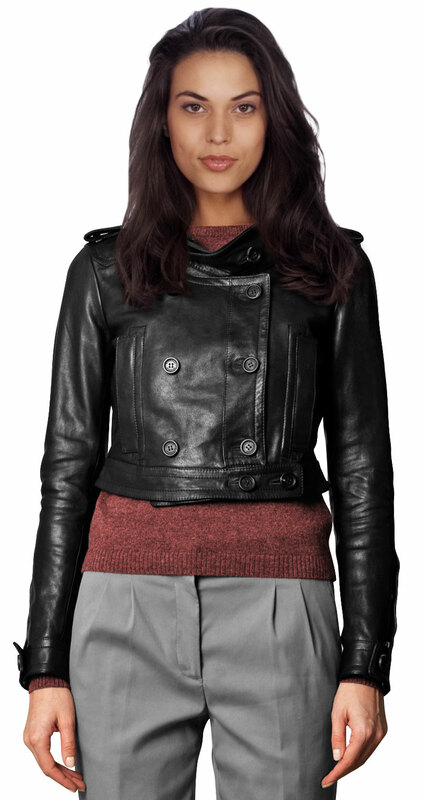 This short length leather jacket has many impressive features to make one fall in love with it. This unique piece of lambskin leather is made trendy with its button embellishments on its collar, sleeves and hem. The double-breasted pattern is what garners most attention. Apart from this it also possesses side slit pockets and epaulets to give a vogue-ish touch to it. Pull it over with ease and style and bring out your best appearance with it.